David Braben has been an elite game designer since 1982. His first hit was Elite in 1984, and the followup Frontier in 1988. After founding Frontier Developments in 1994. The company has released several games since then, but is finally going back to its roots with the successfully Kickstarted project Elite: Dangerous, which came out in January. We sat down with Braben to talk about his history and why the Elite franchise is important to him and its fanbase. The Escapist: Trading-based games have been popular for a long time, and even before graphics became an important part of the equation, there were games like Taipan. 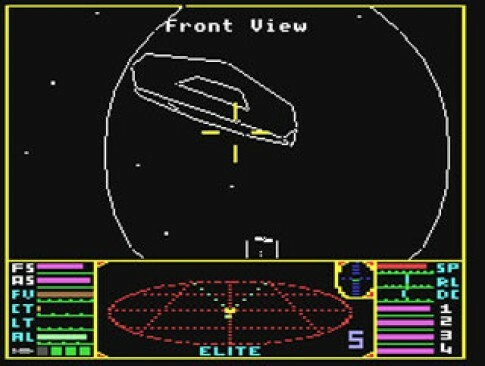 Did any of those games have any influence on your original conception of Elite? Braben: No, they didn't. I was quite naÃ¯ve of games at that time, and most of the games I played were on the Acorn Atom. That was what I had, and most of the games for it were various arcade rip-offs and they generally weren't very good. They were games like Defender and Pac-Man, obviously called different names, but the game mechanics were much the same. And they all felt very samey, they all had very short playtimes and things like that. But I also played games like Philosopher's Quest and Colossal Cave Adventure. You probably know the two of those, they were text adventures. I thought it was intriguing that they had such rich progression. I loved the rich description and detail. 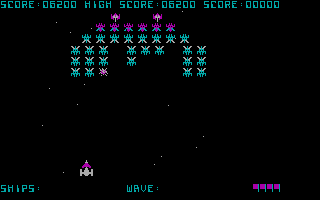 Nowadays, they'd be seen as quite trivial, but at the time, I thought that there was a richness there that you didn't get in games like Space Invaders or Galaxian. That's what started me thinking about what sort of games I would most like to play. I also remember there was a type-in game called Star Trek. Obviously, it was nothing like Star Trek, but you had an array of cells, you could select which cell you wanted to go to, and there might be another ship there that you fought. I never actually had it on my computer, I played it on someone else's Apple ][. It was a very simplistic game, but it was those sorts of games, from my perspective, that affected my thinking. Because Elite, when it was originally conceived, was a fighting game with spaceships fighting each other. When I first met Ian, I showed him what I had. He was working on another game, called Freefall, which came out from Acornsoft. I was on an Acorn Atom, which by then was seen as a dying platform because the BBC Micro had already been out for six months. The trading was seen as a way of validating the combat, really. The Escapist: So it was more an excuse to keep the story going rather than the focus of the design. Braben: I think what happened was that at the start, I only had four different ships. Ian and I had a really good discussion, trying to figure out what would make us care about our ship to not just fight to the death. I remember thinking that in playing a game of Galaxian, why on Earth do I have just one ship against so many? Why don't I run away and pick them off one by one? How could you get that mechanic in the game, because it would be so much more engaging? A little bit of intelligence on the part of the player would greatly help to make it more interesting. The Escapist: It sounds to me like you're saying that storyline and the player motivation that flows from it had a significant effect on your design. Braben: Oh, absolutely! Design is about engaging with the player. With any game, I want the player to care about what they're doing. Whether it is because they are making something beautiful or shooting down enemies, a little bit of thought gives you an edge in the game. And games that do that are the games that I, personally, engage most with. 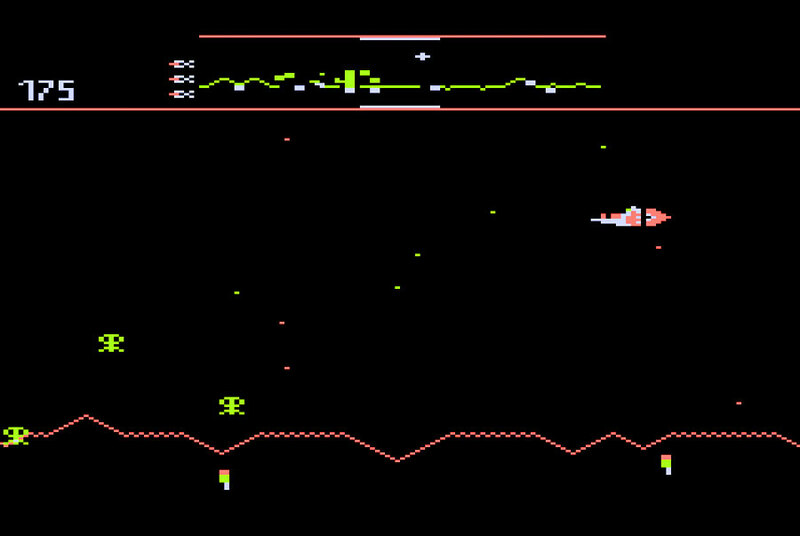 Progression isn't just managing to survive in Defender for three minutes instead of two-and-a-half minutes and maybe getting as far as the green level where you get your people back. I played Defender a lot and I really enjoyed it. What really interested me was that there was a little bit of story that involved rescuing the people. It was one of the first arcade games that I saw that had some variation in the way you played it. You could choose to play the game and focus on rescuing the people, or you could even shoot the people yourself and bring on some changes and cause the landscape to go away and all the landers mutate all at once. I thought that's quite an interesting way to play it, there's a sort of hidden score here. I know there is a bonus at the end of each level but I did like the way how you played affected the outcome. The Escapist: It's interesting to see how role-playing games affected the development of one of the more famous trading and fighting games. How did Star Raiders affect your thinking? Braben: It didn't. I know that's surprising, but the problem is I didn't have an Atari and none of my friends did. I didn't know anyone who had an Atari. It's one of those computers I aspired to because I heard it had 4,096 colors and I thought, wow! Braben: But the Atari was much more expensive. Don't forget, I was at that point a poor aspiring student. I couldn't even afford a BBC Micro, which I eventually got from taking the early version of Elite to Acorn with Ian. You end up with your choice of games being very narrowly selected by the hardware you've got access to.